Odisha is popular for its architecturally celebrated temples like the Lingaraja temple in Bhubaneshwar, Lord Jagannath’s shrine in Puri and the Sun Temple at Konark and many more sacred shrines and heritage monuments along with the famous Odissi dance, fairs, festivals and exotic handicrafts. The first thing that comes into everyone’s mind when heard of the state’s name is either the famous Rath Yatra or the Konark Sun Temple. This itself proves that how heritage has become an integral part of Odisha! 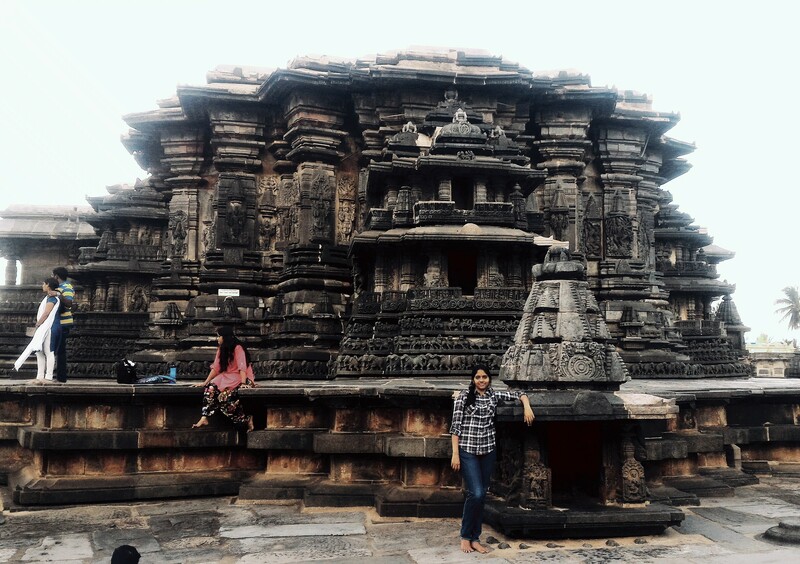 As I reached the entrance, I could see the Kalinga architectural marvel standing as a living sonata in stone! 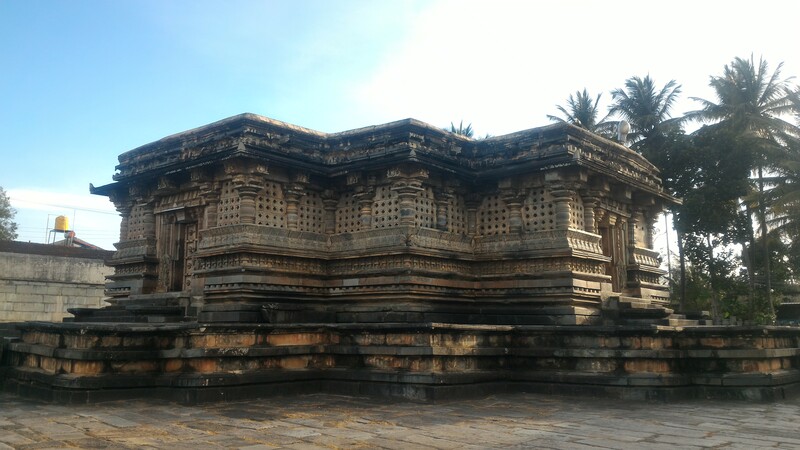 This 13th century temple dedicated to the Sun God, is built in black granite during the reign of King Langula Narasimhadeva – I of the Ganga Dynasty around 1250 AD. 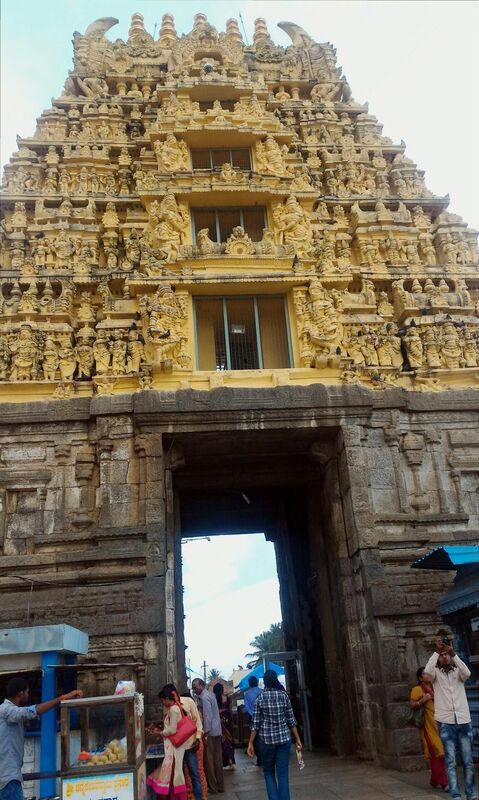 This is one of the most important temples dedicated to the Sun God in India and is a leading Hindu pilgrimage centre. This place is now under the maintenance of Archaeological Survey of India and the entry fee is Rs. 30/- per person. There was a queue of tour guides behind us by the time we entered the temple complex and we politely rejected their services! 🙂 The first structure we encountered upon entering the complex is the Natya Mandir (the Dance Hall) where the temple dancers once performed. A stone staircase flanked by seated lions led us on to the platform from where we can get a better view of the Sun Temple. Once upon a time, the temple dancers used to perform here as a ritual offering to the God, but now this ritual is no more! We walked towards the main temple which is visibly in ruins, corroded by time and sea air. Yet the temple shares the brilliance and dazzle of the sun with its fascinating architecture, exotic sculptures and intriguing social history of Odisha; which was also a beacon to mariners in medieval times. 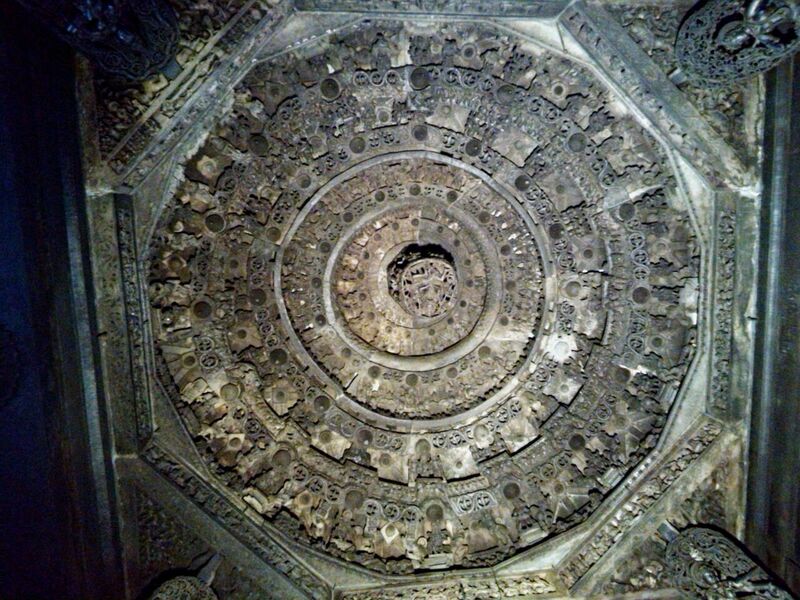 Konark has got its name from two Sanskrit words – Kona, meaning corner and ark implying the sun. 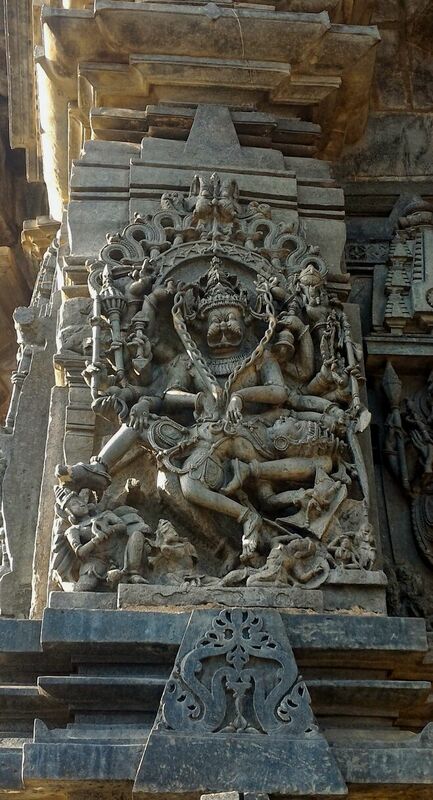 And this temple which was dedicated to the worship of the Sun God holds the sun as the soul of whole manifestation, primal cause of this universe and its different cycles of manifestation and annihilation. The Suryopanishad – a scripture on the Sun God asserts that the Sun is the creator, protector and destroyer. Though in ruins now, this place retained its rustic charm and serene aura. The mighty sculptures, beautiful lawns and gardens around the temple attracted me the most and I instantly fell in love with this place! 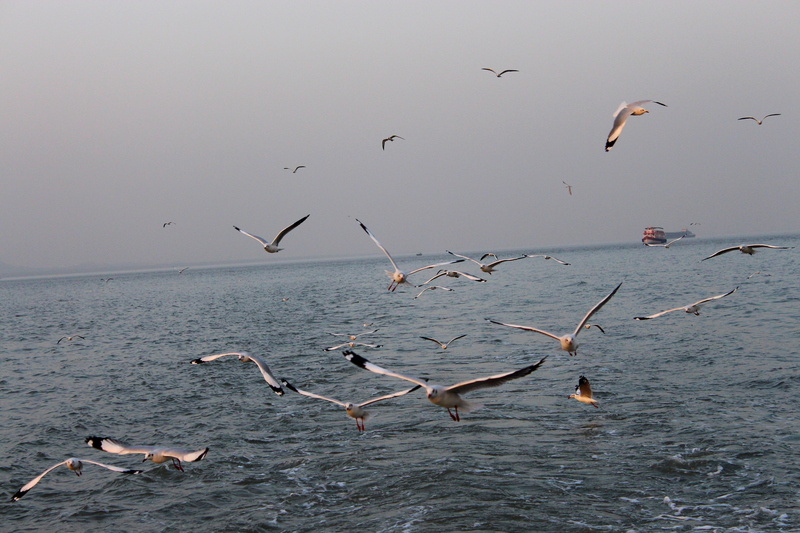 11.00 hrs – We reached the “Gateway of India” from where we have to take a boat to the Elephanta Island, situated in the Kolaba district off the coast of Mumbai. The Gateway is more crowded than the other day. The tickets for the ferries are being sold by the ticket agents and a to and fro trip is of Rs. 180. It was only at the time of buying the tickets did we realize that we were running out of the few 100 rupees notes we are left with and made a point that we should withdraw money from some ATM after return from the Elephanta. 14.00 hrs – Bought the tickets and reached the Cave 1, also known as the Great Cave known for it’s great architecture. Dating back to as early as first century BC and artistically built over a few centuries, its caves have an extraordinary appeal and aura. Nestled in the formidable Sahayadri Mountain Range, these caves have been home to monks of different religions. 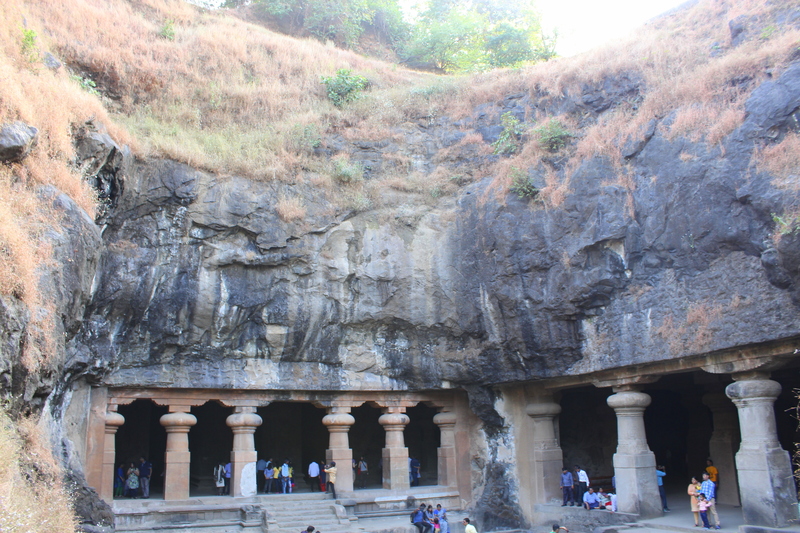 Most of the caves are viharas (hall) and chaityas (pillared religious caves) and showcase fine art heritage of India. A visit that will induce a sense of discovery, of the self and of the divine. 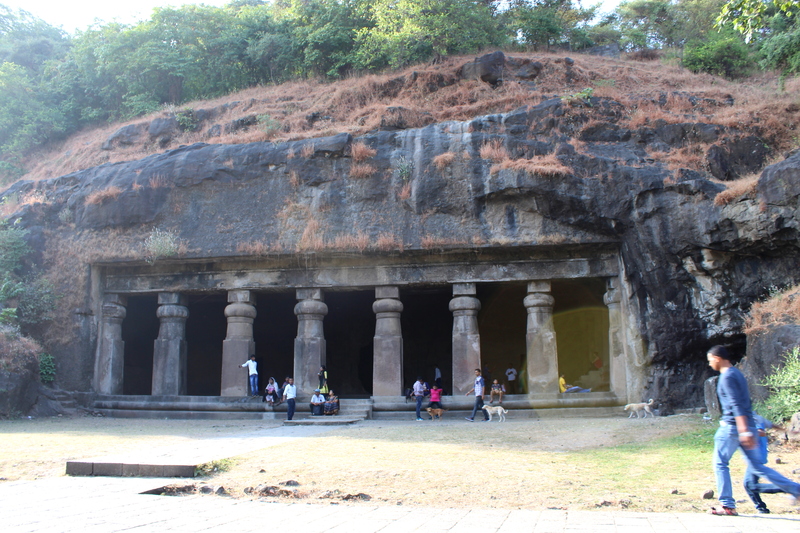 Elephanta island, located 11 km from Mumbai, have beautiful carvings, sculptures and a temple of Lord Shiva. 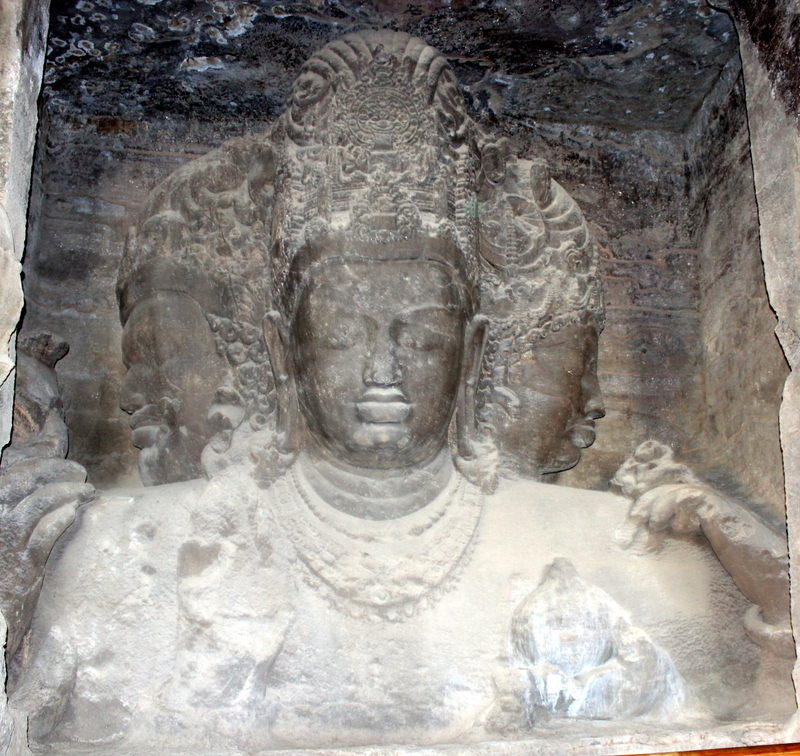 The main cave has a 7 mt high bust of ‘Sadhasiva’ that represents three aspects of Shiva, the Creator, the Preserver and the Destroyer. It also has other forms of Shiva like the Ardhnarishwar – The ultimate union of Shiva, the Lord of the universe, with his consort, Parvati. Parvati (Shakti or Uma) is the embodiment of grace and beauty, self-sacrifice and love. Also there is the “Trimurti” idol which is said to be so unique that we can find such ones only at these islands and another one in Nepal. There are 7 caves in total, but there is not so much to see in the other caves than Cave 1. These received the status of a World Heritage Site in 1987. A walk around the iconic monuments of Mumbai..
18.30 hrs – We started walking towards one of the most iconic monument of Mumbai, the Gateway of India. 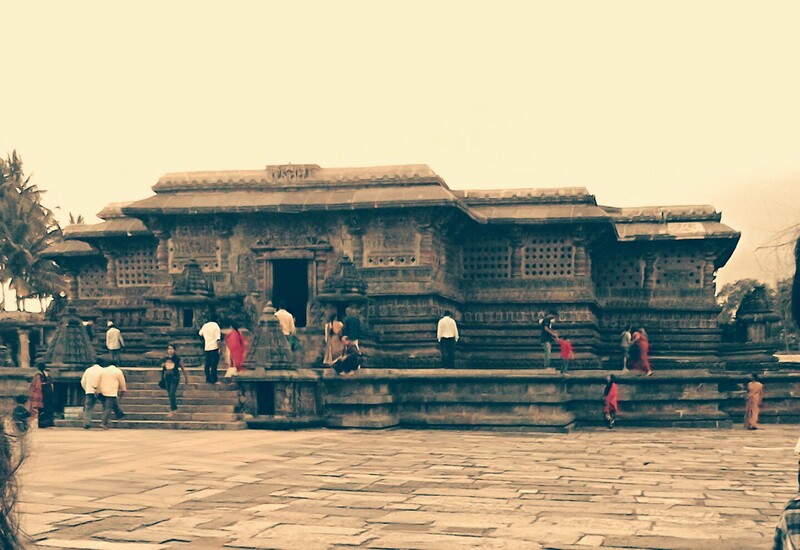 It is a world heritage site that is perpetually frequented by tourists and the locals alike. Built to commemorate George V and Queen Mary‘s visit to Mumbai, this compelling structure by the Arabian Sea is a ‘must visit’. The foundation was laid in 1911 by Sir George Sydenham Clarke, the then Governor of Bombay and the architectural design in the Indo-Saracenic style was fashioned by architect, George Wittet. The structural design of this monument is constituted of a large arch, with a height of 26 m. The monument is built in yellow basalt and indissoluble concrete. 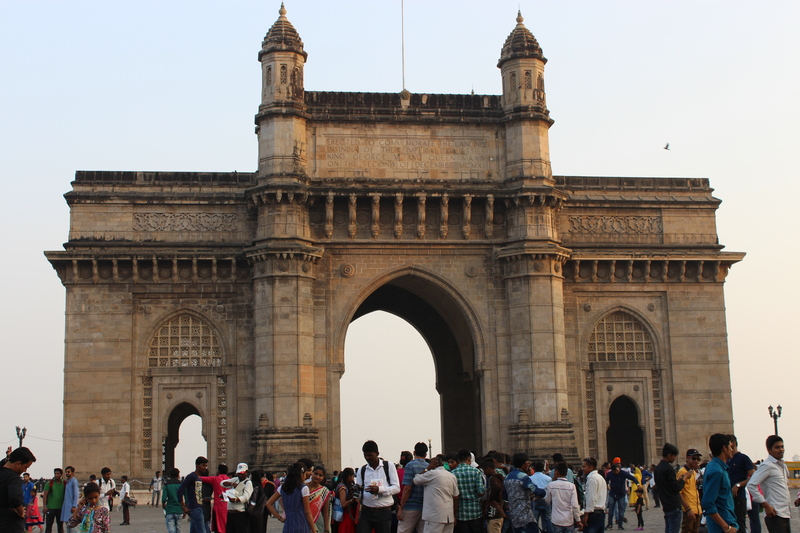 We walked around the structure and sat on a beach to watch the Arabian Sea with boats and cruises and the tourists and locals clicking selfies or getting instant Polaroid pictures with the iconic monument, and some returning from their visit to the near by Elephanta caves. There are also those Victorian style horse-driven carriages that are available at the Gateway on which we can hop and have a joy-ride. I don’t want to try one as I already tried it at the Victoria in Kolkata 🙂 . Also adjoining the gateway is another landmark of Mumbai, the Taj Palace hotel. One says that there is an interesting story behind the construction of this hotel. 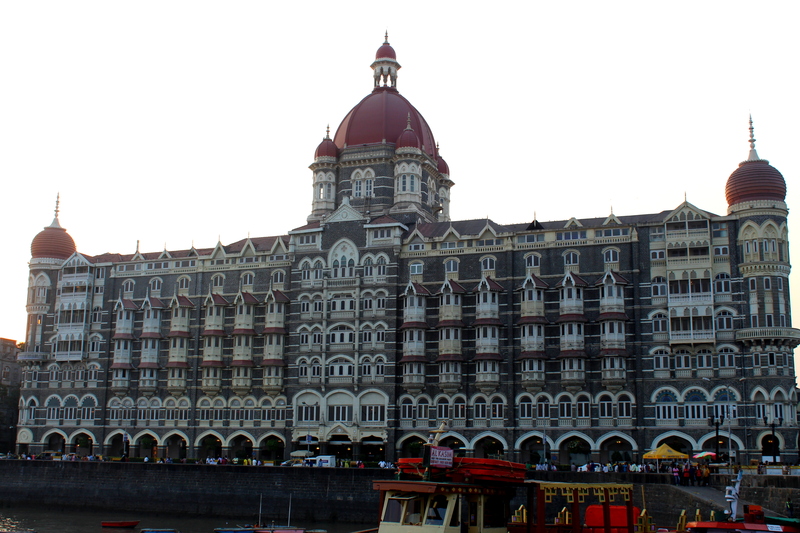 It is said that Jamshedji Tata (a pioneer Indian industrialist who founded the TATA group) built this hotel after he was refused entry to Mumbai’s grandest hotel then, the Watson’s on racial grounds (since he was not of white skin). It was then that he decided to build a hotel which would give stiff competition to the Watson’s and allow everyone (no matter what the color of the skin). The original Indian architects were Sitaram Khanderao Vaidya and D. N. Mirza, and the project was completed by an English engineer, W. A. Chambers. This hotel has numerous elements that were a first in India then – the main dome is made from the kind of steel that was used in the construction of Eiffel Tower, it had a steam elevator, imported American fans, German elevators, Turkish baths and English butlers. 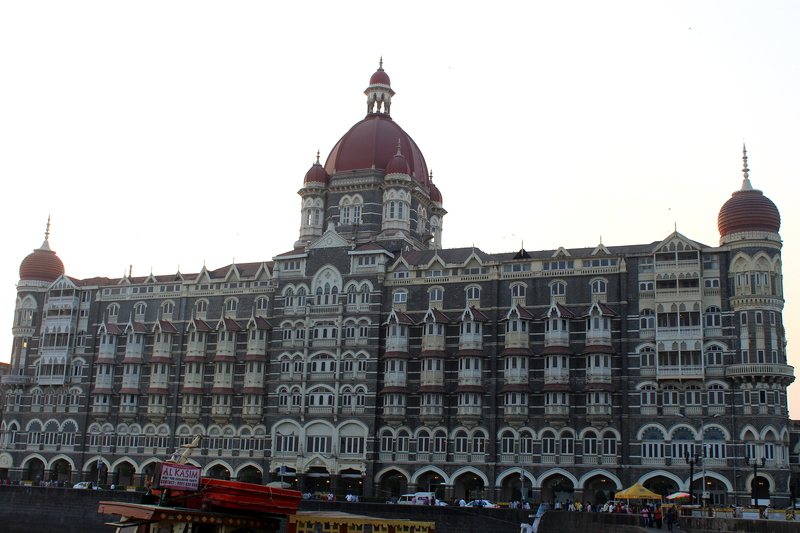 And today also, it still remains one of the most grandest hotels of Mumbai. There came a new wing of this hotel called the Taj Mahal tower just beside the Taj Mahal Palace. 19.15 hrs – Time to relax! What else could be more relaxing than a cool off at the beach? After a long day of journey, shopping and sightseeing, it’s time to sit and enjoy a evening snack 🙂 . 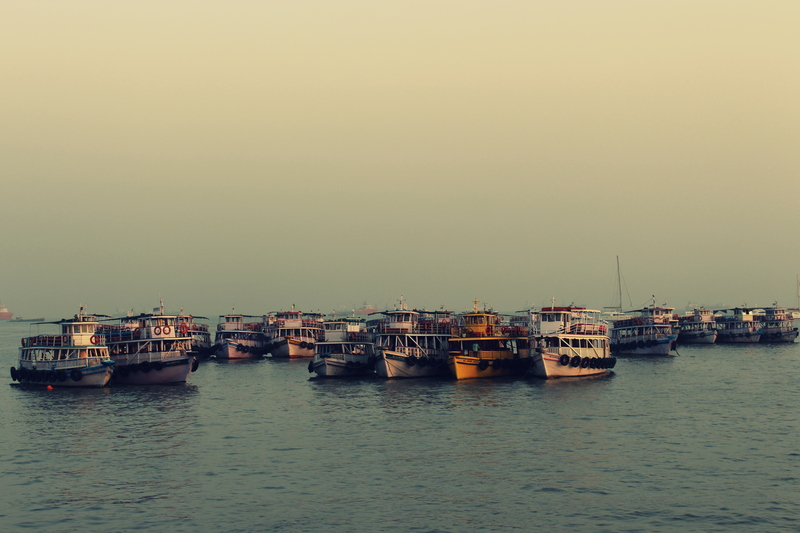 We asked the cab driver to leave us at yet another place in Mumbai that reveal its stunning coastline. It’s the Marine Drive – the ideal antidote for sore legs, watch the marine drive transform itself into the ‘Queen’s Necklace’ at night and have a seat while listening to the claiming rhythm of the sea. We walked along the promenade which was occupied by couples, friends and the evening walkers. 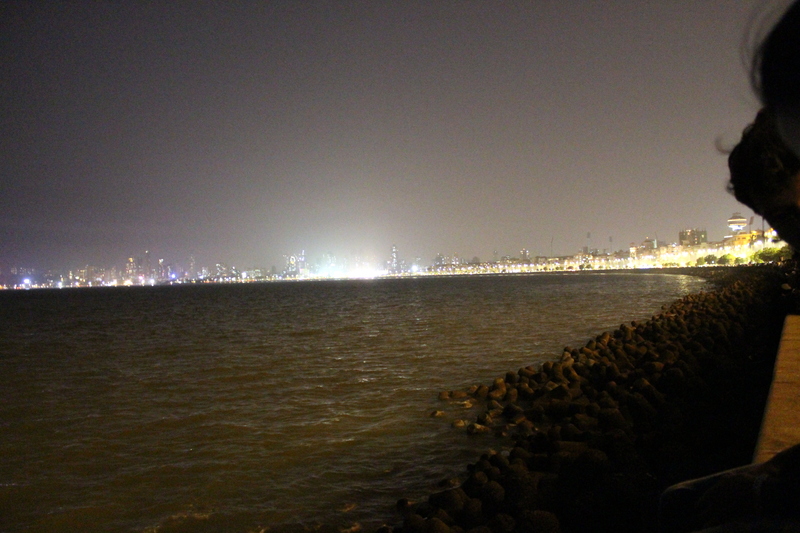 We also took a seat and watched how the promenade arches into a semicircle of shimmering lights creating a sight that is called the ‘Queen’s Necklace’. 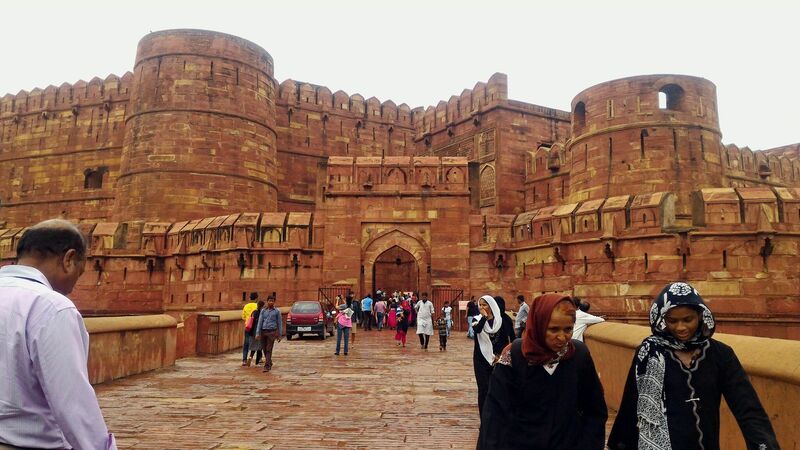 Agra is truly a fortified city. One can find some sort of palaces or forts everywhere around the city. Sometimes, the houses too look like forts or quarters inside a fortified city. Our next visit is to the Agra’s Red Fort, most commonly known as the “Agra Fort” which was built by the great Mughal emperor Akbar in the 16th century. The fort, a UNESCO World Heritage site, described as a “walled city” is huge with its wall standing at a height of 70 feet. It was still raining when we reached here and entered the main gate known as the Delhi Gate; we bought the entrance tickets at the office which stood by the entrance. 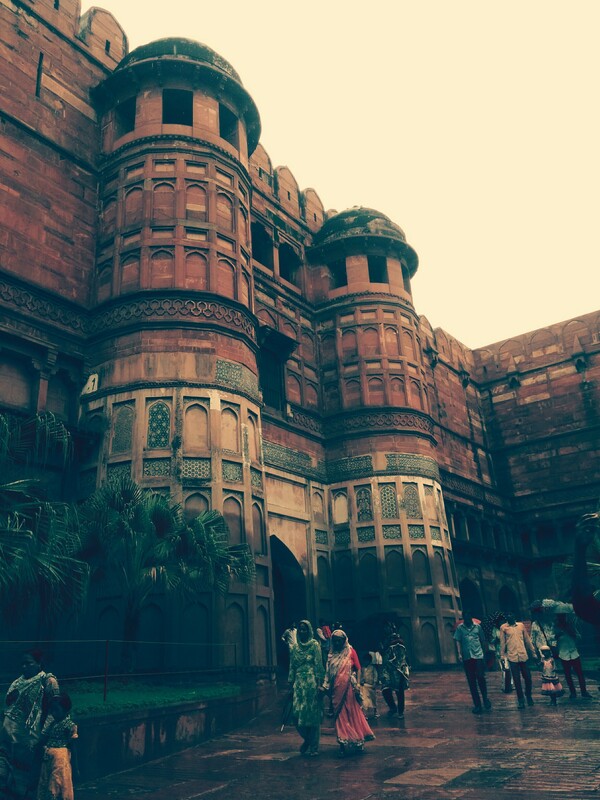 Somehow, I was more impressed with the Agra Fort than the Taj, I don’t know why though! It might not be as famous as the iconic TajMahal, but it is every bit beautiful. It was altogether a different monument than the Taj. Much bigger, as attractive as the Taj, might be less cared than the TajMahal.. A lot of contrasting things! Soon we passed through the Hathi Pol or the Elephant Gate which leads to the walkways and then to the inner chambers. There are lots of rooms, each of them different, but all of them enormous. 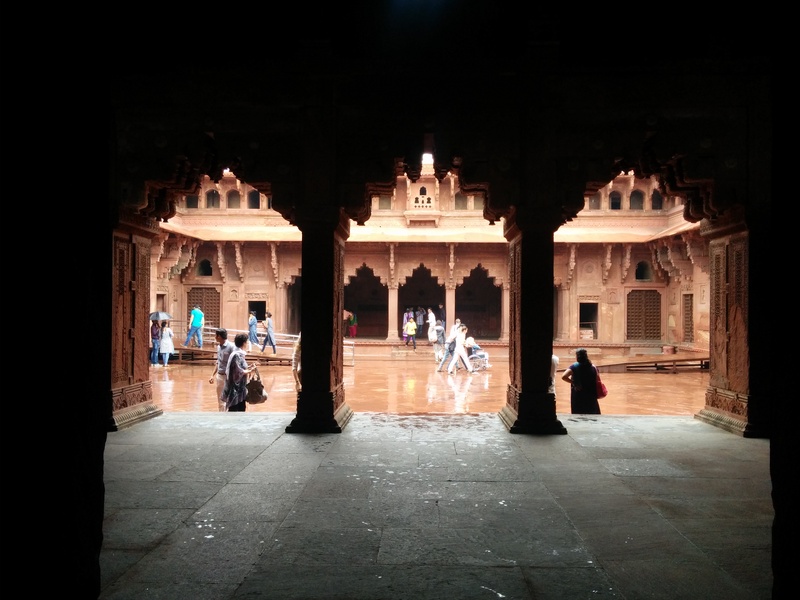 The extensive women’s quarters, vast open areas perhaps where the rulers conducted the durbars (meetings), indoor water cascades and fountains, massive gardens etc makes up most of the interiors of the fort. 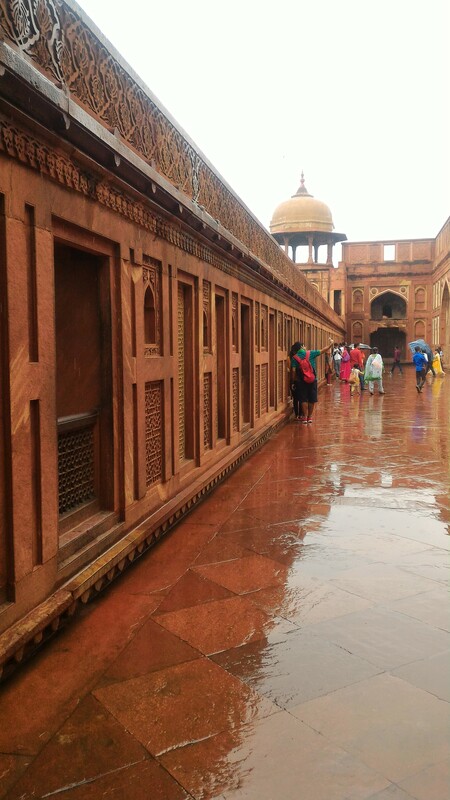 There is even an enormous square right in the middle of the fort where the Mughals installed a great deep pool. To my surprise, there was even a prison sort of thing in the inner chambers and it was said that the son of Shah Jahan allegedly locked him up in a section of this Fort, where he lived for the last eight years of his life watching the TajMahal in a distance. 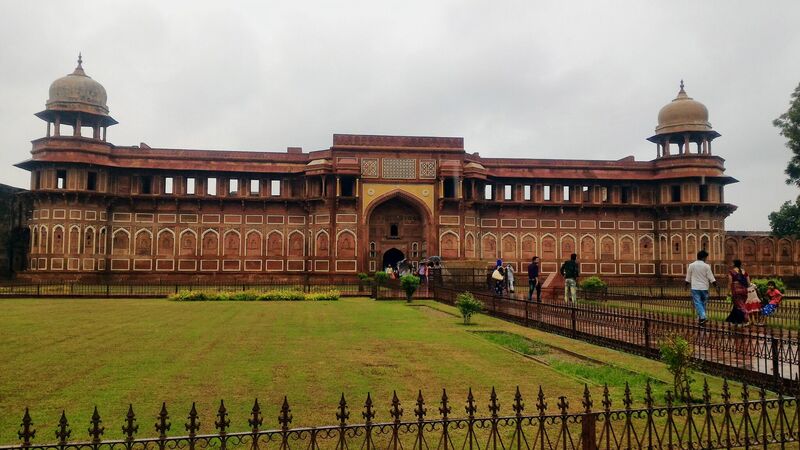 This fort is a home to a number of palaces such as the Jahangir Palace, built by Emperor Akbar for his son Jahangir and Shish Mahal which was designed with tiny mirrors in its walls and was often used as a dressing room, the Khas Mahal which is built of white marble built by Shah Jahan for his daughters Jahanara and Roshanara. Also the fort is a place for beautiful mosques, Mina Masjid and Nagina Masjid. The balcony has the beautiful view of the Taj and the Yamuna River. Might be these are all the reasons behind me getting attracted to this Fort more than the Taj Mahal. Perhaps the life in these palaces and rooms once upon a time gave me that feeling of liveliness. Nevertheless, am fascinated by this place. We were out by 2.30pm and resumed our back journey. On the way we stopped at the most famous chain of restaurants “The Pind Baluchi” for lunch. I would never suggest this place to anyone as they don’t have many of the items on the menu and the service was poor 😦 . The traffic was still heavy on the roads and we stopped at a small sweet shop on the roadside to have a sweet. And I chose Rasamalai, which is one of the best I have tasted so far. So light, not so sweet and fresh 🙂 🙂 . As I was not so fond of sweets, I didn’t try the most famous Agra Peta.. Might be next time, but for now it’s time to go home! 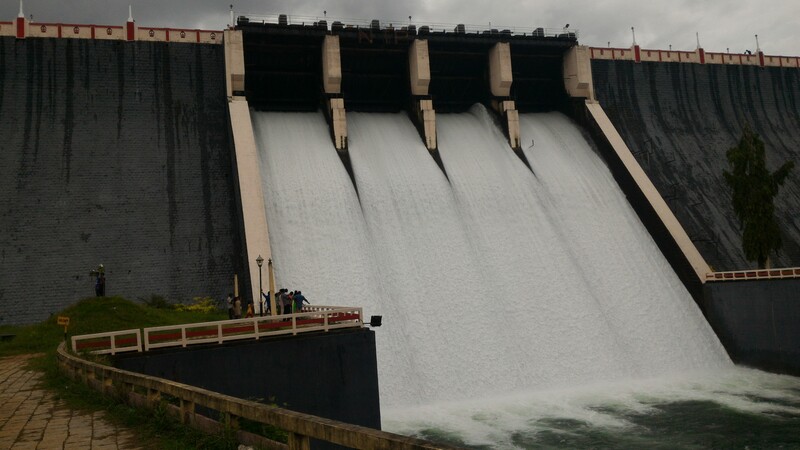 Located about 32 km from Thiruvananthapuram or Trivandrum, Kerala, is a popular picnic spot with a lake and a picturesque dam site. 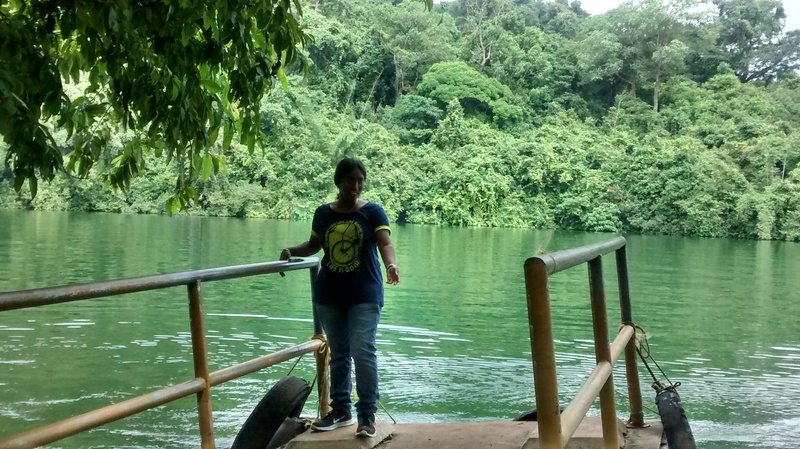 The lake formed by the dam across the Neyyar river has boating facilities for the tourists. Boating is irresistible since the greenery adds to the lake’s beauty and one will not be ready to lose the chance of boating in it. The Neyyar Wildlife Sanctuary of which the dam is a part is the habitat of various species of fauna like the Asian Elephant, Tiger, deers etc. A crocodile breeding center, deer park and a lion safari park are also located here. 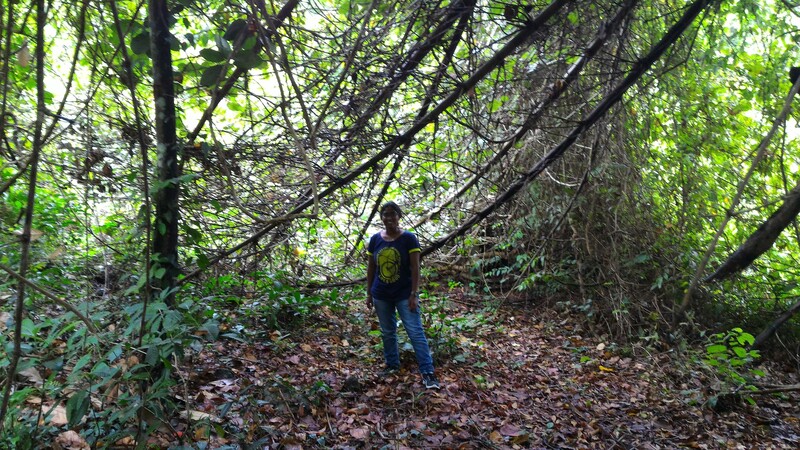 Since Neyyar is not a tiger reserve, nature lovers can walk through it. One can do easy hikes along the foothills. The sanctuary is part of the Agasthyamalai Biosphere Reserve that was recently listed as a UNESCO World Heritage site. The sanctuary is open throughout the year. November to March is the most pleasant time to visit. June to October brings heavy rain which makes trekking plans unpredictable. But, adventurists who are interested in Monsoon hikes can definitely try this place.